One 14 karat rose gold ring. One old European cut diamond (0.57 carats: VS2 clarity: J-K colour). 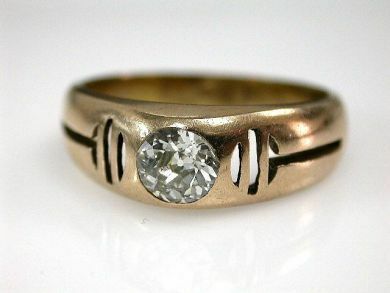 The ring has circular openwork cut shoulders.